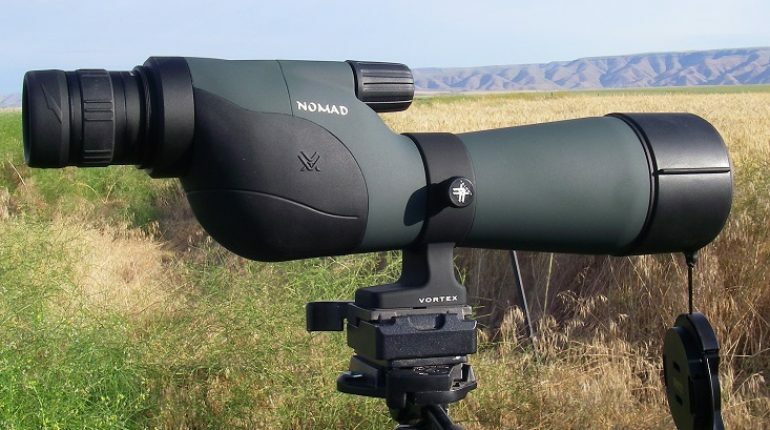 While their mobility is inferior to binoculars, spotting scopes still offer excellent magnification and clarity compared to other hunting optics. Designed to simplify the task of acquiring and observing targets, spotting scopes are considered to be essential assets of hunters. From veterans to beginners, every hunter could benefit from having a quality spotting scope around. If you intend to take up hunting, one of the very first things you must do is to secure the best spotting scope for hunting. It would let you enhance your efficiency as well as situation awareness in upcoming hunts. “But there are so many models available for purchase on the market, which one should I get?” you may think. Well, due to the number of products, it’s indeed difficult for novice hunters to purchase a suitable spotting scope. In addition to that, personal preferences and shooting styles could further complicate the selection process. Fortunately, if you don’t know much about spotting scopes, this article is for you. Down below are a couple of well-received examples along with their specifications and reviews. Some shopping instructions are also present in order to help you make a sensible decision. Possessing a generous eye relief, Vortex Razor HD could be used comfortably by hunters wearing a pair of corrective glasses. In sunny days, the integrated sunshade of Vortex Optics scope could be equipped to improve the contrast of the images. The presence of the dual focus feature permits extremely accurate focusing and lighting fast manipulation. While the scope seems to be slightly large in size, it’s nonetheless a balanced design on and off tripod. About post-purchase support, the scope is baked with a lifetime warranty which talks a lot about its overall quality. 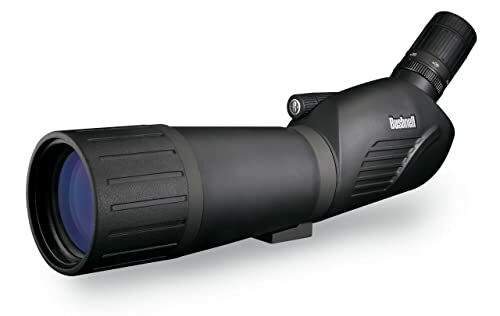 Built to reduce eye strain and improve light transmission rate, Bushnell Legend Ultra HD is one of the most highly sought after spotting scopes nowadays. If you want to spot bullet holes out to 500 yards or so, the Bushnell spotting scope is your best bet. A combination of low dispersion glass and fully multicoated optic result into high contrast images even at high power settings. The 110 – 51 feet field of view would meet the demands of ordinary hunters in usual situations. Although Bushnell Legend Ultra HD is considered to be bulkier and heavier than other product on the market, it could be manipulated with relative ease. Furthermore, the lens is covered by RainGuard HD coating which would preserve the vision of the hunters in inclement weathers. Whether it’s rain or snow, your vision should remain unimpaired by drops of water. As a result, the Bushnell scope is a great choice if you want something that could withstand harsh environments/elements. Besides the scope, you would be provided with a carrying case to store the scope. 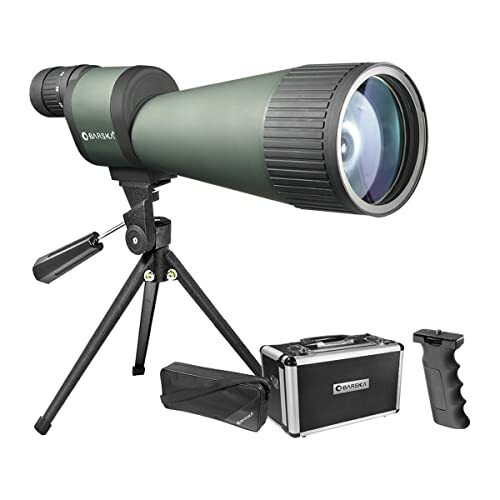 Compact and light, Vanguard Endeavor HD is the best spotting scope for hunters that desire a wide field of vision. At 1,000 yards, the field of view provided by the Vanguard scope is at 144 – 68 feet which is sufficient in average cases. While the 15 – 45x magnification power of the scope is unexceptional, it would match the need and requirement of most hunters. Made from rubber and magnesium alloy, the handling characteristics of the scope is top notch. 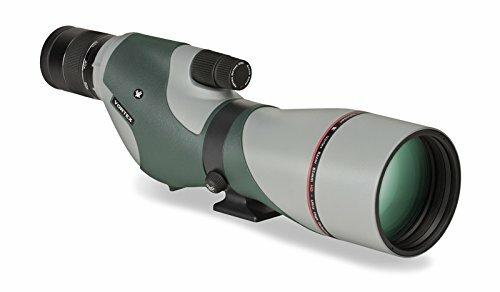 Since it’s both waterproof and fogproof, the spotting scope should be able to perform with distinction in the outdoors. Equipped with fully multi-coated lenses and phase-coated prism, Vanguard Endeavor HD is able to offer bright and clear target images throughout the day. Due to the long eye relief, the Vanguard scope is convenient to use by hunters that have to wear glasses. In the case sunlight is in your way, the built-in sunshade of the spotting scope could take care of the glare effectively and efficiently. For adjustment, the scope stacked, dual-focus control allows you to make changes at will. Want a robust and straightforward spotting scope for hunting applications? Then you have to take a look at Redfield Rampage. The fully multicoated lens of the Redfield spotting scope provides hunters with a consistent light transmission rate all day long. With a magnification power of 20 – 60x, the reach of the scope is more than enough in most of the case. At 1,000 yards, the field of view is at 144 – 51 feet which is acceptable for the price. You should have an easy time spotting the splatter of your bullet out to a distance of 300 yards and beyond. About its physical characteristics, Redfield Rampage is a portable polycarbonate scope that you could set up using most standard tripods. In fact, the adapter port of the Redfield scope would even accept window mount in times of need as well. The scope is shockproof, waterproof and fogproof which let it function reliably in demanding situations. Accessories that accompany the spotting scope include a tripod, a neck strap, a soft carry case and some lens covers. Designed for wide angle viewings as well as close up spottings, Barska Benchmark is a versatile and flexible spotting scope. 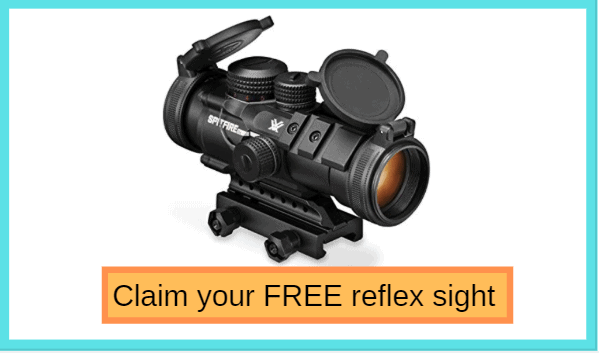 The dynamic design of the lens makes it simple for you to zoom in on the target at moment notice. Featuring an impressive magnification power of 25 – 125x, the scope could bring far away objects to your eyes with relative ease. Due to the use of fully coated optic, the sharpness of the images remains ideal even at high power settings. Moreover, there are no substantial losses of brightness when you focus on a distant target. The field of view of Barska Benchmark is at 54 – 24 feet at 1,000 yards which is slightly narrow compared to its competitors. In exchange, the Barska scope makes good use of shock absorbing rubber and that let it work in rough conditions. Thanks to the waterproof construction, the spotting scope could be used to good effects in a wide variety of situations. The twist-up eyecups are adjustable so you could make changes to the scope eye relief to match your tastes. For most of the time, the magnification power of spotting scopes utilized by hunters often stays at around 30x – 40x. The higher the magnification power is, the longer the reach gets but you really have to think everything through here. Generally speaking, the quality of the target images would always drop at high power settings. As a result, it’s of utmost importance to locate a scope model that balances magnification power and image quality. That being said, high-end spotting scopes should be able to reduce the drop in image quality to some extent. Aside from the magnification, the quality of the scope glass also influences the hunter ability to detect and track targets. Generally speaking, spotting scopes that have large size lens are often capable of delivering high-resolution images to the hunters. That being said, the quality of the scope glass plays an important role as well. A large lens that is made of low-quality glass would produce mediocre target images compare to a small lens that uses high-quality glass. Keep that in mind while checking out different models of spotting scopes on the market. 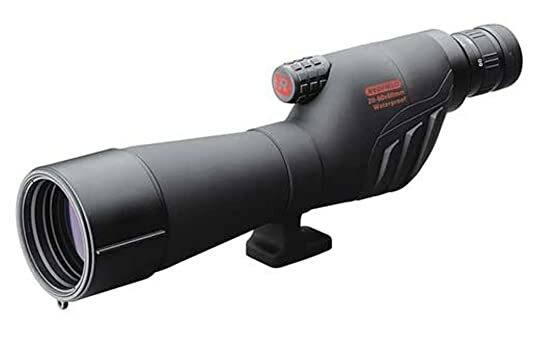 Similar to conventional scope, manufacturers of spotting scope apply a series of coatings to the glass in order to improve the overall light transmission rate. Without the coatings, the majority of the lights that go into the scope would fail to reach the hunter’s eye. Depending on the model of the scope, the glass may be fully coated, multi-coated or even fully multi-coated. Nowadays, premium class spotting scopes usually use fully multi-coated glass so they could provide hunters with optimal viewing experiences. For hunters that are wearing corrective glasses, eye relief is an important factor to consider. If you are nearsighted or farsighted, it’s widely advised that you check scopes with an eye relief between 14mm and 16mm at the minimum. In most of the case, such an eye relief would indicate that the scope could accommodate your glasses without issues. The last thing you want to do is to waste money on a spotting scope that you are simply unable to use while wearing glasses. It’s highly likely that hunters along with their equipment would be exposed to outdoor elements and atmospheric conditions regularly. 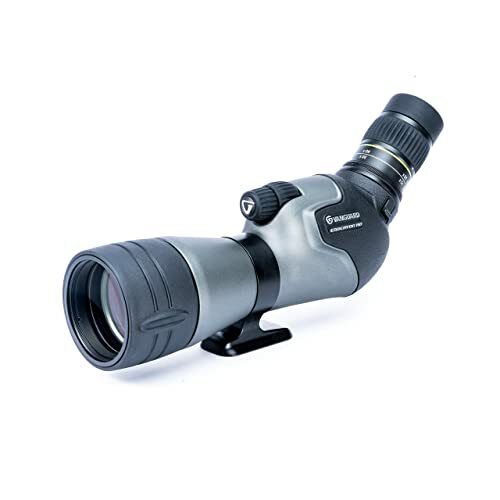 Hence, the ideal spotting scope for hunting applications must be able to handle dust, moisture,…. At all times, you should remember to prioritize models that are both waterproof and fogproof. While hunting in the wilderness, many unexpected situation and scenarios could occur so your tools and gears must be readied for action at moment notice. You definitely don’t want to get stuck with faulty/fragile accessories in critical moments. Base on the body design, there are 2 distinct styles of spotting scopes: Angled and Straight. Both of the scope styles perform well in most of the cases but you may find one more useful than the other in particular circumstances. For examples, angled spotting scopes are good at looking up or across flat open fields. On the other hand, straight spotting scopes would be excellent choices if you decide to hunt from an elevated position. Each style of scopes has its own advantages and disadvantages so consider your own situation to make the right investment. In many spotting scopes, you could change the eyepiece with relative ease to better match the current condition and environment. By changing the eyepiece, you would also change the magnification power of the scope which grants you a lot of tactical flexibility in hunting scenarios. On the downside, additional eyepieces are not included in the price of removable models so you must purchase them separately. In the case you are shopping on a tight budget and need something basic, a scope that utilizes a permanent eyepiece is your best bet. As you may already figure out, a usual sporting scope often requires some sort of support to keep it steady. In some cases, a car mount would be sufficient if you decide to use the scope from inside a vehicle. Nonetheless, a stable and rugged tripod is needed in most hunting situations if you want to optimize the scope performance. Since standard spotting scopes are designed to be threaded like a camera, there are numerous tripod options on the market. All you have to is to select one that suits the size as well as the weight of your scope. If you are hunting on foot, you have to think about how you could carry the tripod before heading out.